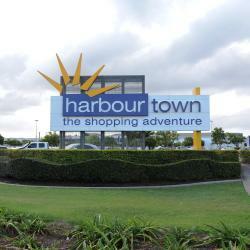 Looking for hotels near Dreamworld? 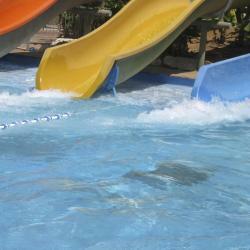 Located in Gold Coast, just 1.4 miles from Dreamworld, Gold Coast Family Villa provides accommodations with free WiFi. The property has garden views, plus is 1.5 miles from WhiteWater World. Featuring garden views, Gourmet B & B is located around 2.4 miles from Dreamworld. Free WiFi is available. This bed and breakfast features a bathroom with a shower and free toiletries. Located in the Coomera district of Gold Coast, just 2.1 miles from Dreamworld, Malan Lodge & Massage has its guests with air conditioning, a terrace, a shared lounge and free WiFi. Amituofo Guest House features a garden, rooms, limited wifi can be provided and a shared lounge. Located in the heart of Hope Island, the Peninsula in Gold Coast features 4-star accommodations with a garden. The property is around 5 mi from Dreamworld, WhiteWater World and Warner Bros. Promised the grandkids a trip to Dreamworld. Promised the grandkids a trip to Dreamworld. The day cost me close to A$600 for 1 senior, 1 adult, 3 children aged 9, 5 and 3! Mostly Chinese tourists were there who must be getting huge discounts. I was shocked by the entry price of $460 (Even my grandchild aged 3 cost $95 even though she was too small for most rides) and the rest was food and drink which of course was very overpriced. The kids didn’t get anywhere this value though the wet park was a treat being a hot day. I have been many times in previous years but this is my last visit ever! Went with my daughter to Seaworld and Dreamworld and White White World. Found Seaworld disappointing on the swim area (pay extra to use but really only swimming or wading for young children). Wildlife is good at Seaworld, love the penguins, polar bears, dolphins and sea life. Would recommend getting pass to both Dreamworld and White Water World especially in Spring/Summer. Rides are great at both theme parks and going next to Movie World And Wet'n'wild. 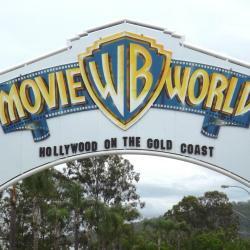 Purchased a ticket that included dreamworld /water world and sky tower , had a great day at dreamworld/waterworld, just as we got to hot and tired doing dreamworld were revived at water world, cool water and great slides had a lot of fun..
Dreamworld was the best, Seaworld was good, as was Movieworld. Outback Spectacular was average. We chose which theme parks would work best for us. Dreamworld has many rides AND attractions, where as Movie World has less rides but attractions, shows and shops were the main part we felt.